No outside resources allowed – only collaboration among teammates! 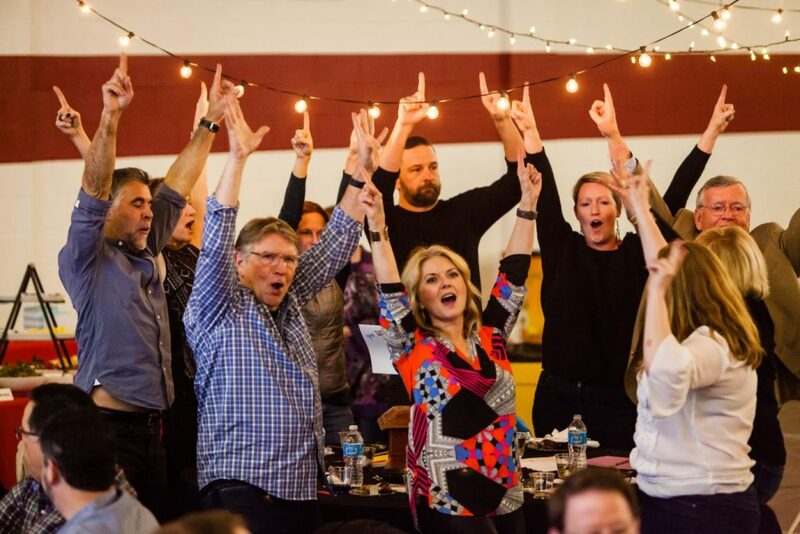 Participants are seated in teams of 7, and each member of the winning team receives a grand prize! The registration fee includes complimentary French cider. Guests are encouraged to bring other food and beverage to share with their table. $20 per person. 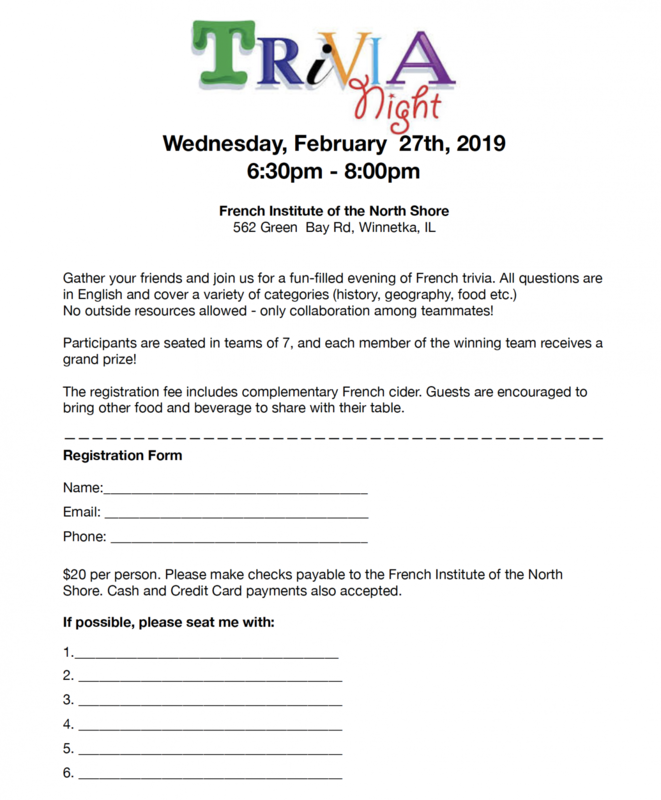 Please make checks payable to the French Institute of the North Shore. Cash and Credit Card payments also accepted. To register, please complete the registration form and submit payment, or call 847.501.5800.